During the summer of 2004, Mark Zuckerberg’s new social network theFacebook.com was already wildly popular.After Mark launched it in February, the site dominated the conversation at Harvard all spring. It reached 250,000 users by the end of August and a million users that fall. 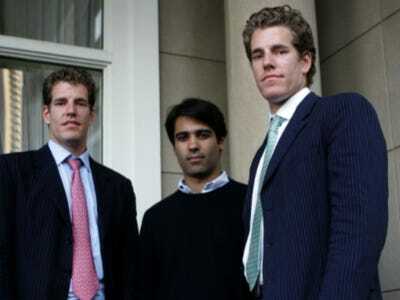 ConnectU’s founders — Cameron Winklevoss, Tyler Winklevoss, and Divya Narendra — had launched the site that spring at 15 schools. But it never gained anywhere close to the critical mass of user adoption that Facebook did. Today, 400 million people visit Facebook each month while ConnectU exists only in the Internet archives. Nevertheless, during 2004, Mark Zuckerberg still appeared to be obsessed with ConnectU. Specifically, he appears to have hacked into ConnectU’s site and made changes to multiple user profiles, including Cameron Winklevoss’s. At one point, Mark appears to have exploited a flaw in ConnectU’s account verification process to create a fake Cameron Winklevoss account with a fake Harvard.edu email address. Next, Mark appears to have logged into the accounts of some ConnectU users and changed their privacy settings to invisible. The idea here was apparently to make it harder for people to find friends on ConnectU, thus reducing its utility. Eventually, Mark appears to have gone a step further, deactivating about 20 ConnectU accounts entirely. Mark appeared to be worried about the risk of his actions, but reasoned that ConnectU’s developers wouldn’t notice a succession of account deactivations coming from the same IP address. He took comfort that Apache logs didn’t reveal that type of activity either. Mark also figured that if ConnectU developers did notice anything, their most natural conclusion would be to think that someone had emailed people convincing them to deactivate their accounts. It is not clear how Mark accessed these accounts. (In an earlier hack of the email accounts of two Harvard Crimson editors, he used login information stored in Facebook’s servers.) It does appear that he retained access to ConnectU’s servers for quite some time. We’re certainly not questioning the latter fact: Facebook’s success — and Mark’s role in it — have been awe-inspiring. Given the significant concerns about online privacy and ethics, however, it seems reasonable to ask what the company’s reaction — and Mark’s current reaction — is to the reported behaviour above. A source close to the company suggests that it was the fallout from early behaviour like this — fallout that has included reputational damage to Mark Zuckerberg and expensive and prolonged litigation with ConnectU — that has shaped Facebook’s current privacy policies. We imagine — or at least hope — that these searing early mistakes have also a profound influence on the now 25-year-old Mark Zuckerberg.